I’d been contemplating how to better describe why I selected the Sony RX10 as a compelling travel camera when an email hit my In Box that had the following words in it: “Some people go places to take photographs, some people who go places take photographs.” Voila, there it was. As you might guess, most of the time when I go someplace, it’s with the intention to take photographs. The choice of the place, the choice of time of year, the choice of gear I bring, all those things are considered with the photographs I expect to take. Sometimes the weather or animals or something else doesn’t cooperate and I don’t come home with the photos I expected to take, but there’s always next time. Most of you reading this don’t shoot that way, though. You travel for business, with family, or on vacation, and you want to photograph as an adjunct to the primary purpose of the trip. This is exactly where the smaller, lighter, and all-in-one fads tend to come together, and why the RX-10 is an interesting camera for many. You don’t know what photographs you might be taking, so you need to be prepared for just about anything, but you also don’t want to bring a pack with every piece of DSLR gear known to man plus the kitchen sink in it, as photography isn’t the main goal of the trip, and dealing will all that stuff is a hassle. This is one reason why convenience zooms came into being, too. People wanted a sophisticated camera (SLR), but they didn’t want to carry a half dozen of extra, often heavy, lenses around and juggle them quickly when a different attraction to photograph came along. Just zoom and shoot. Bingo, that original Tamron 28-200mm super zoom in the film era was an instant success. Personally, I prefer to think of “convenience camera” as opposed to “convenience lens.” That’s partly because the convenience camera is smaller and lighter than the convenience lens on a DSLR. Case in point, compare the Sony RX10 (24-200mm equivalent f/2.8) to the Nikon D610 with a Nikkor 28-300mm f/3.5-5.6). That would be 813g versus 1560g, a bit over half the weight (and less than half the price). Would I prefer the Nikon DSLR images over the Sony compacts? Yes, particularly in lower light. But not enough to pay a nearly 2x weight penalty while walking around, though. What the customer is doing, why they’re doing it, and what they want to do with the results can and does vary amongst photographers. But note that the group that photographs while traveling is bigger than the group the travels to photograph. 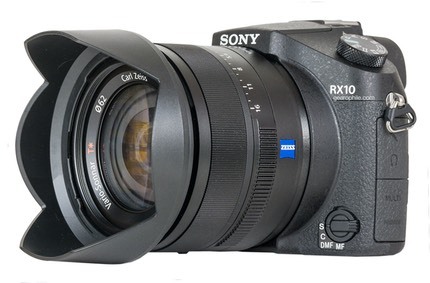 You’d think we’d see better attempts at catering to that former group, but the Sony RX10 and the Panasonic FZ1000 are arguably the closest to do so. And all those convenience zooms are the DSLR makers attempts to convolute their product that’s really for the second group into something the first will use. Yet, when push comes to shove, the smartphone is still winning in the “photograph while traveling” group. Why? Same problem that I’ve been complaining about for a decade now: workflow. Getting DSC_0001.JPG from your camera while traveling to your family and friends back home the way you want it to get to them is a convoluted mess. It’s basically down to tap, tap, tap with smartphones, with even more interesting things brewing these days (such as immediate cloud backup, accessible with anything). So the funny thing is this: while we have some interesting travel cameras (I’d include the Sony RX100 and Panasonic LX100 and even cameras like the Fujifilm X100T and the infamous Coolpix A in this group), they all have the same darned liabilities that their bigger DSLR brethren have. They are smaller and lighter, though, which solves one of the problems of traveling with a camera in tow. It’s time for the camera makers to solve the other problem for this group, though, which is to fix the workflow.